Visit Leiston Suffolk and the surrounding villages and stay in bed and breakfast, hotel or holiday apartment accommodation provided by BedPosts members. Leiston with its century-old iron industry, is 2 miles from a wonderful stretch of coast. Leiston's church has a fine font and a timbered roof. One mile north of Leiston is an extensive abbey ruins and an octagonal Tudor tower which now serve as a diocesan retreat. Read about the surrounding area and maybe stay outside Leiston in a nearby village or hamlet in a bed breakfast or vacation rental accommodation. Near Leiston is the seaside hamlet of Sizewell, where the nuclear power station is situated. There's a visitor center where budding young nuclear scientists-to-be can learn how the station operates. 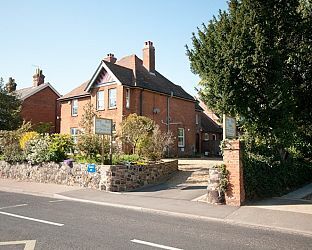 If you seek accommodation near Leiston in Suffolk you have come to the website of a “club” of providers who offer affordable quality accommodation around UK in hotels, bed and breakfasts, guesthouses, inns, and restaurants plus self-catering cottages and apartments .